Содержит карты, координаты для TomTom, модели маунтов и скрипт на проверку ежедневного кд на лут. Маунт с него упал с 21 попытки. Ограничение: лут с рарников Аргуса одним персонажем можно получать раз в сутки. Ни каких заданий для него не надо выполнять, когда убьёшь, что б маунт выпал ? Если убил потом, он быстро ресаеться не надо день ждать или можно тупо убивать его, что б выпал? Я уже отчаялся. 4-мя персами проносил. Выпал примерно вроде с 5-го захода. У меня был шок. Не отчаивайтесь выпадет. Главное ходите и выпадет. Теперь осталось ещё из 3-ёх яиц и будет коллекция. Сияющий манаскат may be dropped from Ядовитый небесный скат. Ядовитый небесный скат rare mob can be found in Мак'Ари. A Flying mount that drops in a zone where you cannot fly in (and that does not happen to be a dungeon or a raid). But hey, they look cool, at least. Somehow makes me think of the Couatl that have yet to make an appearance (preferably alongside Snap Dragons). For players that, like me, plan to farm the mounts and other collectibles daily, I have compiled a set of macros with the tom-tom waypoints for rares that drop mounts. I used previous comments by others, especially Boxofbeer, as well as Wowhead maps to compile the coordinates. Note that not all rares seem to spawn each day. If you discover something that is missing or incorrect, please let me know in the comments and I’ll fix it. EDIT: After the release of Mac'aree, it seems that a couple changes were made. 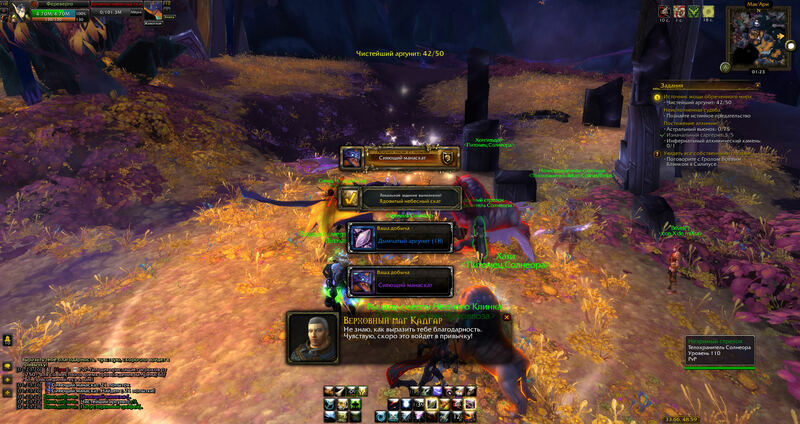 Puscilla also drops a mount (Biletooth Gnasher) and Kaara the Pale does NOT seem to drop the fel-spotted egg any longer. The macros have been updated to reflect these changes. Many thanks to the people who pointed these errors out to me! ... Someone assemble the Postmaster mog. All my characters so far sit very strangely in the saddle. Female Night Elves in particular are seated nearly a foot above it and a bit too forward, which is unfortunate because otherwise the reins would fit perfectly in their hands instead of clipping through their bodies. It's especially awkward when paused in the air, as they look like they'll fall right off. Tauren look particularly terrible. All Rare Elite Spawns on Argus rotate on a ~4 hour window of opportunity. In that time it will respawn and will be lootable. However, when that window closes the rare spawn will despawn, including ones that are pulled already. The exemption to this rule is when they are the World Quest target. If that is the case, then the rare spawn will respawn throughout the entire window the WQ is available. There are rare spawns that drop a fel spotted egg, and rare spawns that drop mounts. There seems to be a limit to how many of these will be active at once. At the moment, it appears that there will never be any more than 1 fel spotted egg dropper and no more than one mount dropper up at any one time. Fel Spotted Eggs, after the 5 day wait time, becomes a Cracked Fel Spotted Egg, which can either drop a mount, pet, or junk. Note: you are NOT guaranteed a mount or pet drop. It could still result in a useless item. Sabuul - In Central Mac'Aree, directly north of the center-most teleport point. Here is a list of mount drops from Instances, Raids, and World Bosses to save some looking around. Curious about respawns on this mob. I have been sitting here at his coords for almost 20 minutes waiting for him to spawn. Could anyone perhaps share some info concerning his spawns/respawns? 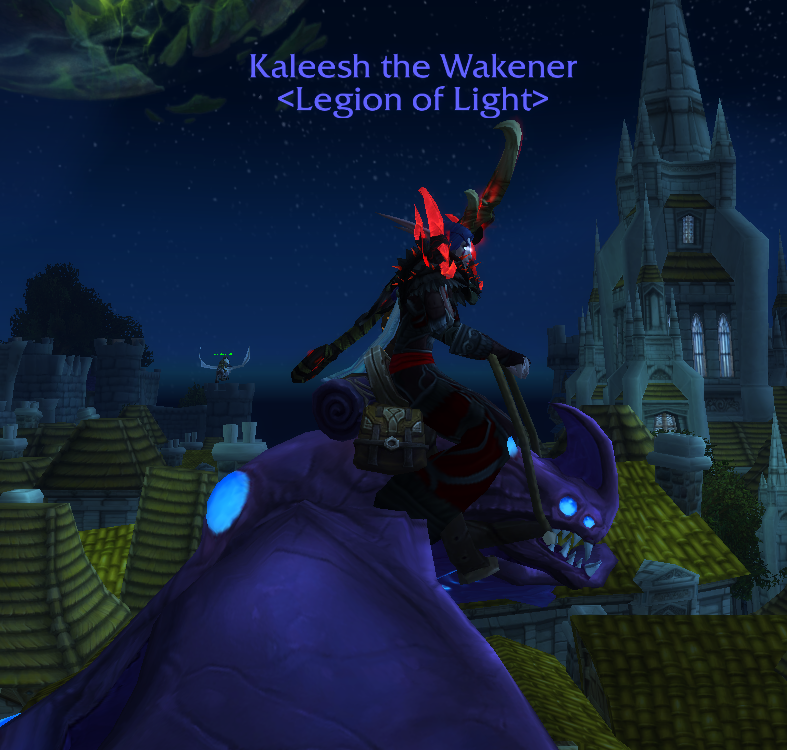 You seriously need to update the drop rate on this mount. 3.97% is completely false. As of today I am sitting at 139 attempts and Rarity puts that at 99.10%. Since I'm now only getting .01% per attempt, it could take me another 90 attempts, if it doesn't go down further into the third decimal. This puts the drop rate below a .5% and not the 3.97% you are claiming or 1 in 30 rarity is claiming. I am farming on 12 toons on 3 servers. I was doing the usual round of Argus world quests and when going to bag clear, I noticed this in my bag. It was a very nice surprise considering I never knew it existed and it came from a random trashy rare mob to boot. This mount, for some completely bizarre reason, counts as a ground mount when using Blizzard's "Summon Favorite Mount" functionality. It is goofy as heck to summon a Mana Ray that just flaps itself and floats 2 feet off the ground through Zuldazar. Использование: Обучает управлению этим летающим транспортом. "Некоторые представители дикой природы Аргуса, такие как, например, манаскат, сумели адаптироваться и научились выживать даже в этом в истерзанном мире."